Meet Boomer the Foot Mouse--no hands required! Meet Boomer the Foot Mouse! 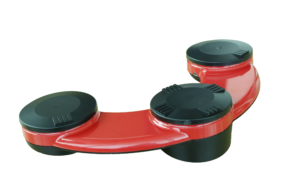 Boomer is the world’s first wireless, fully functional foot mouse–no hands required! Interested in getting yourself a Boomer? Contact us for more pricing options! Former dental hygienist, Becky Logue inventor of Boomer, a hands-free wireless mouse and the Dental R.A.T for hygienists. No hands required! Learn more about Becky, Boomer, and the Dental R.A.T.